When it comes to makeup brushes, there are a ton off options. BeautyPress has a great guide, which shows you the right brush to use while creating your beauty look. So with the wide-range of brushes to use on different parts of your face, make sure you brush with the correct one. 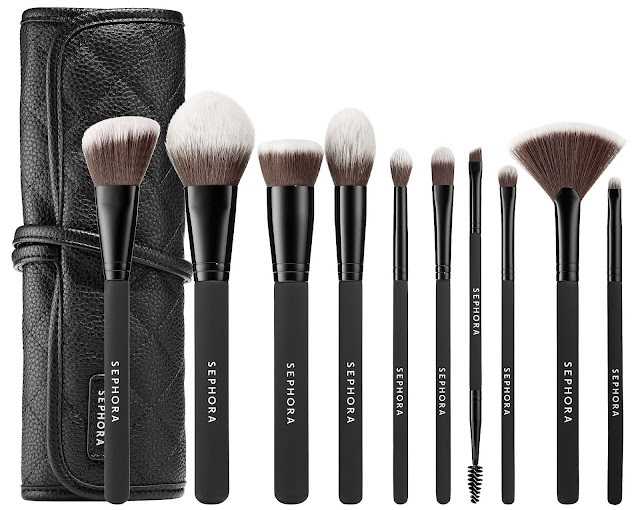 Continue below to check out and get the details on the different styles of brushes to use for your beauty look. Arguably the most important brush of them all – with so many different foundation types, using a good quality brush makes all the difference in the world in terms of application. You don’t want your base to look cakey, so buff the product into the skin gently to get a streak-free application. The newest hype in terms of foundation application. Use the sponge’s broad sides to smooth out product on your face. Use the tip to reach creases around the nose and to pinpoint small areas. 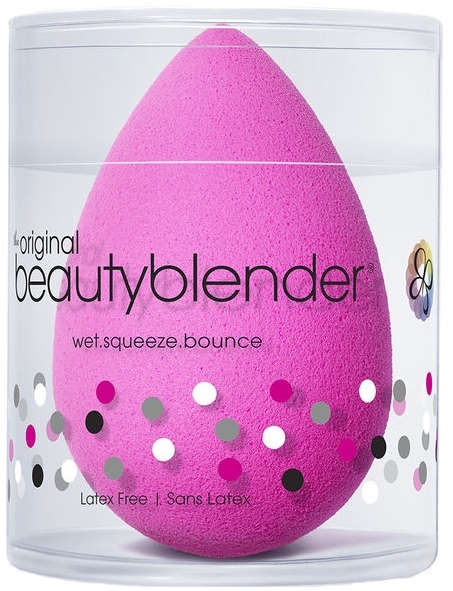 It’s also great for blending out harsh makeup lines and removing excess product! As the name suggests, the concealer brush is perfect for spot correction. While using a concealer brush, never blend it out- pat the product onto the skin to conceal the area for the best result. The stippling brush is a complimentary tool to the foundation brush and gives you an airbrushed look. If you carefully observe the brush, you would see that the ends of the brush are very light and feathery when compared to the base. The light fibers of the brush help you in achieving a flawless, airbrushed finish. An angled blush brush enables the precise application of the blush. The angled shape of the brush allows it to pick up the product and dust it onto the cheeks ever so softly so that it looks natural-no more clowning around! The primary aim is to use this brush to dust your face with loose or compact powder – a good brush will let you set or touch up your makeup without removing any makeup previously applied. Alternate use: Sweep blush from the apples of your cheeks along your cheekbones. Contouring is one thing that, at any cost, cannot be done without a brush – A contour brush will have firmer bristles than a blush brush, and a more angled tip. It is specially designed to help you target the areas that you want to contour and shape. The bristles in a fan brush are specifically designed for highlighters. The bristles are spread out so that the brush picks up a small amount of the product. It is then slightly dusted on the top of the cheekbones and other areas of the face that needs to be highlighted. It is best to go in with a light hand to avoid using too much product. You can also use this to clean up fallen product! Another key essential as you can’t use your fingers for this! A good blending brush will help you to soften out any harsh lines after the application of the eye shadow. The rule of 3 for a crease-free eyelid applies here: blend blend blend! Winged Eyeliner- our best friend or our worst nightmare. It all depends on the brush! The eyeliner brush is designed to pick up and deposit the required amount of product while giving you maximum control that you probably would not find elsewhere- precision and perfection! Use an eye shadow brush to evenly apply powder and cream shadows. A good eyeshadow brush will pick up a decent amount of the product and will allow you to pack it onto the eyelid with minimal fallout. Alternate use: Dab on shadow under the lower lash line for a smokier eye. A bronzer brush is rounded and distributes the product evenly. A big fluffy brush for bronzing helps you achieve that natural, sun-kissed look. Alternate use: Buff out harsh lines by swirling the brush around your face. You can even get retractable ones which let you retract and cover the brush so that it can be kept in any bag! A must-have if you’re after that tutorial-perfect lined lip. To ensure precision application and a perfect touch-up tool, make sure you invest in a lip brush. You won’t regret it.